Scotland were beaten 50-14 by a New South Wales Country Under-23s team in their World Cup warm-up match in Ballina. The Scots, without seven of their likely World Cup starters, took a 10-0 lead inside 14 minutes. But they conceded nine tries to finish well beaten by a side that lost 40-26 to Samoa last week. The World Cup begins on Friday, 27 October, with Scotland playing Tonga two days later. 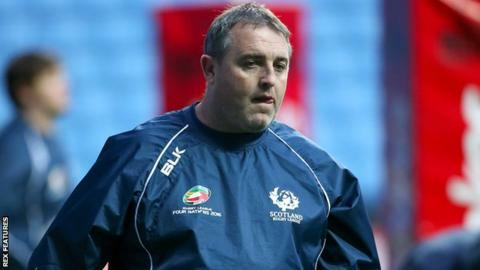 Scotland coach Steve McCormack opted to give all eight of the uncapped players in his squad a run-out. Lachlan Scott and David Scott both crossed the line in the early stages, with Oscar Thomas kicking one conversion. But Scotland's handling errors enabled the home side to draw level by the end of the first quarter and the Country side were ahead by the break. Scotland tired in the second period and were well beaten by the time Will Oakes scored a late consolation try.